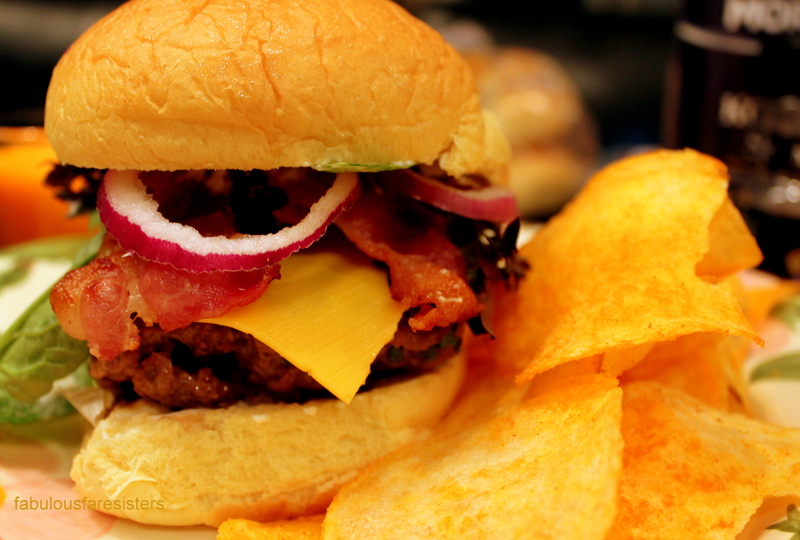 To be honest I made these burgers on Cinco de Mayo! I was going to post them as my Cinco de Mayo burgers but we ate them too late to post (and I already had a recipe in the queue)…so I saved the photos and decided to change the name to Latin Burgers. Both of my sons who live at home said they tasted like tacos! Everyone loved them…so here goes! In a large bowl, combine the ground beef, seasonings, cilantro, garlic & onion. Shape into 4 equal sized patties. Heat the oil in a large skillet. I like to use my cast iron skillet (alternately you can grill these on your bbq grill outside!) Cook 5 minutes on each side. Top your Latin Burgers with your favorite toppings…cheese, tomatoes, lettuce…or kick up the Latin flavor by adding sliced avocado and tomatillo sauce. Really nice Linda. Well done and thanks for sharing. Looks like a good recipe. I’ll have to try this one. Another one I will love! I can’t wait to make them. Ingredients are on my list – will let you know how they turn out – I need all the help I can get with cooking, so I’m glad I have you!